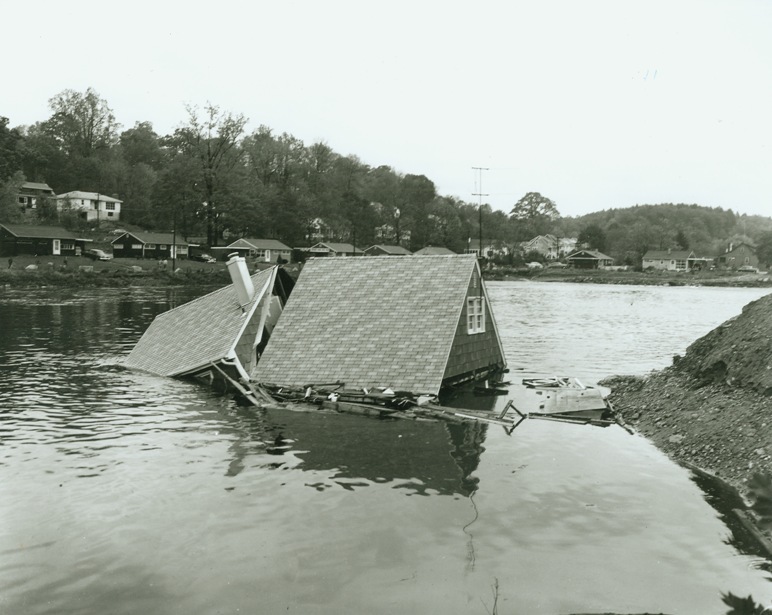 A few minutes before 11:00 pm on October 15, 1955, Greenwich officials pulled the alarm signal and declared a state of emergency. When the alarm sounded, rivers and streams were already torrents, roads were impassable, 95% of Greenwich was without electrical power, and residents feared the worst. The Byram River was 2 feet over the flood stage in the Pemberwick section of Greenwich. Police immediately went into action. Over 30 families were evacuated before midnight. In total, more than 400 people were evacuated from their homes. 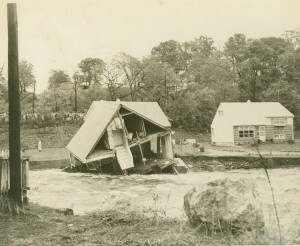 Newspapers immediately described the storm as the “worst catastrophe” in the history of the town. Police, firefighters, civil defense workers, and Red Cross worked together to meet the emergency. In the aftermath, however, the town was unable to set up an emergency relief fund. 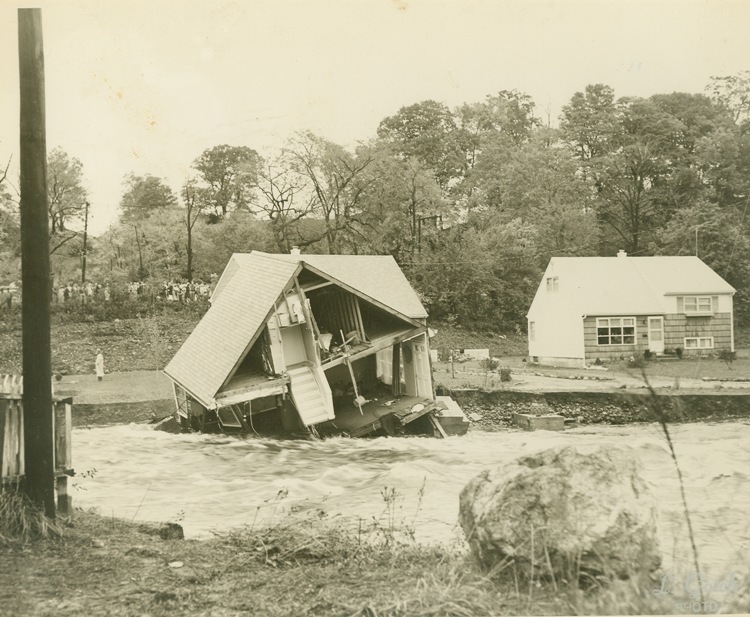 Some members of the Representative Town Meeting (RTM), Greenwich’s legislative body, felt that “public monies should not be used for private property.” Instead, appropriations were passed to hire an engineer to conduct a flood control survey. The purpose: ascertain how to prevent a re-occurrence of the Byram River flood. The three families whose homes were washed away were obligated to pay taxes on their nonexistent properties. The full impact of the flood in the Pemberwick section was seen clearly through the eyes of one resident whose family was evacuated from their newly constructed home on Hallock Drive—while he aided those in another flood-damaged section of town. 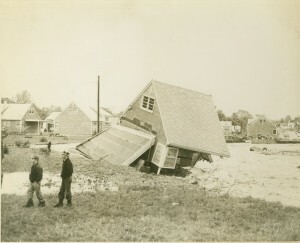 Shortly after the family’s evacuation, the Byram River swept the house from its foundation. When the good Samaritan returned from his rescue efforts, he found his family safe, but his home, into which he had put his life savings, was gone.